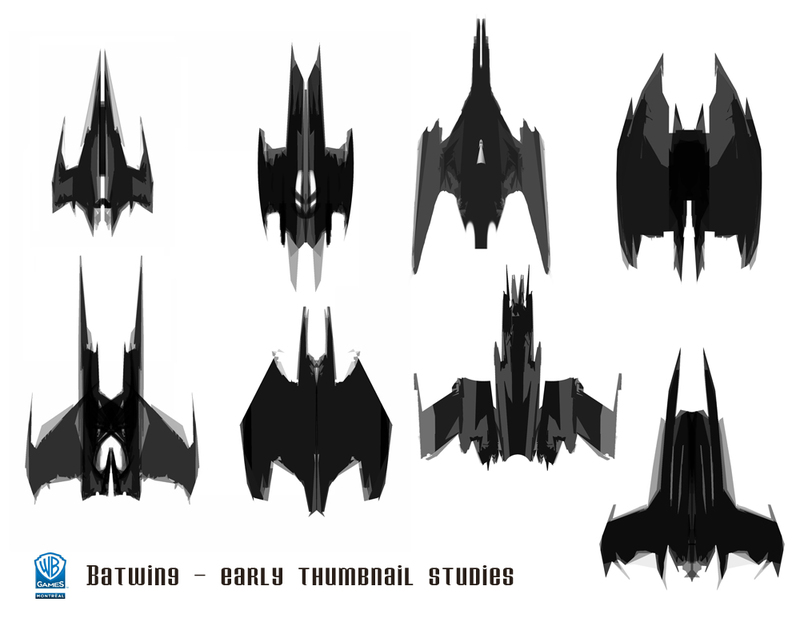 Some more Batwing designs, from when I was first exploring shapes. There were some pretty goofy-looking shapes too, but all part of the exploration process. 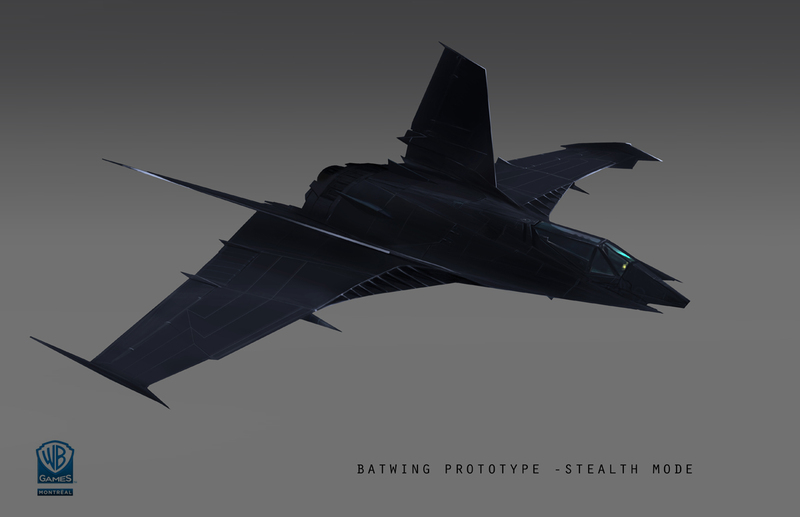 The fundamental goal was to design an aircraft that was Batman’s first successfully working prototype, but still had to look mean and cool. 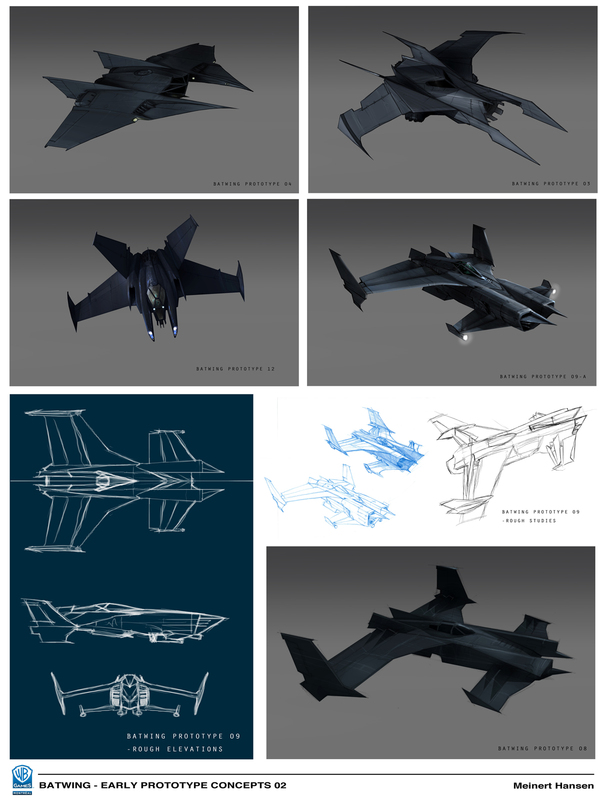 VTOL (Vertical Take-Off and Landing) needed to be an essential part of the design. 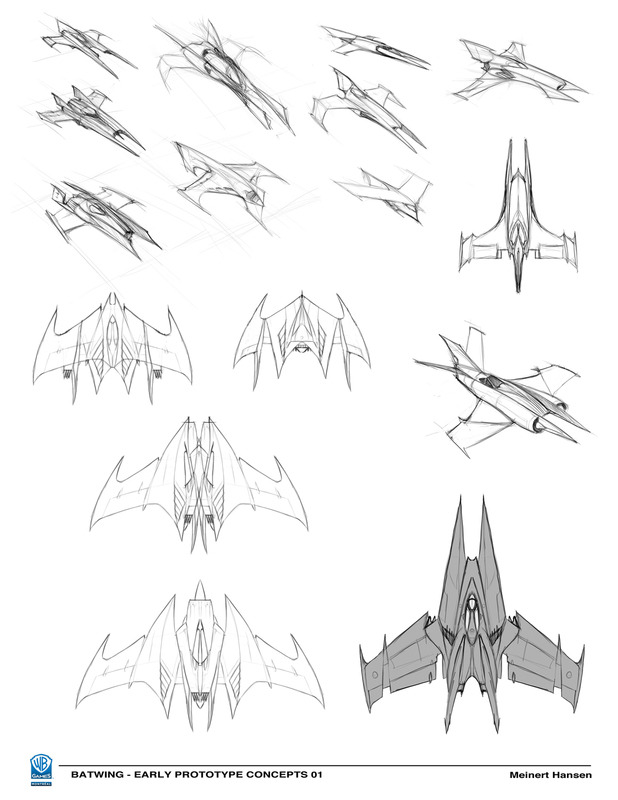 I added a rendered version of the final below, and you can see how it evolved from the initial designs and my final blueprints. 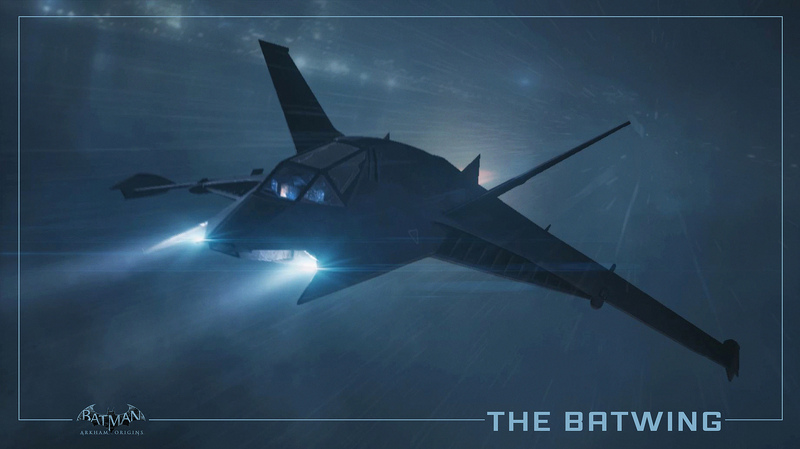 The modelling team really helped shape it into a credible and wicked-looking plane. Some of the first roughs. I left out some of the odder ones. 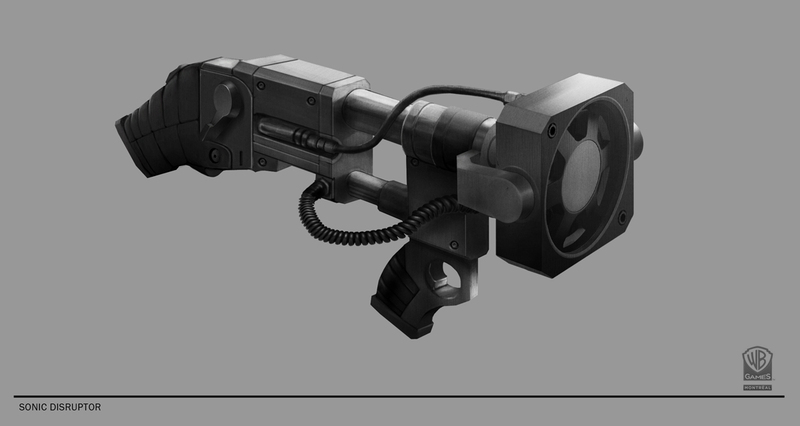 Greyscale roughs. 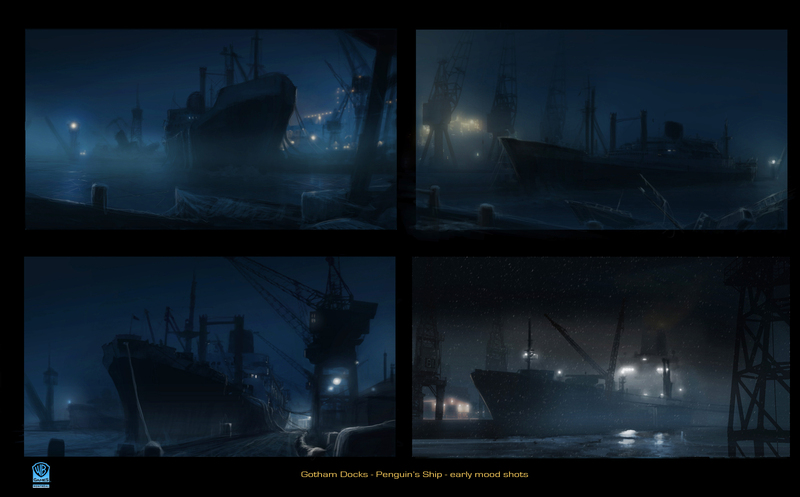 The top left one is my nod to the Flying Sub form Voyage to the Bottom of the Sea. Since it’s not really a submarine, that was out for sure. 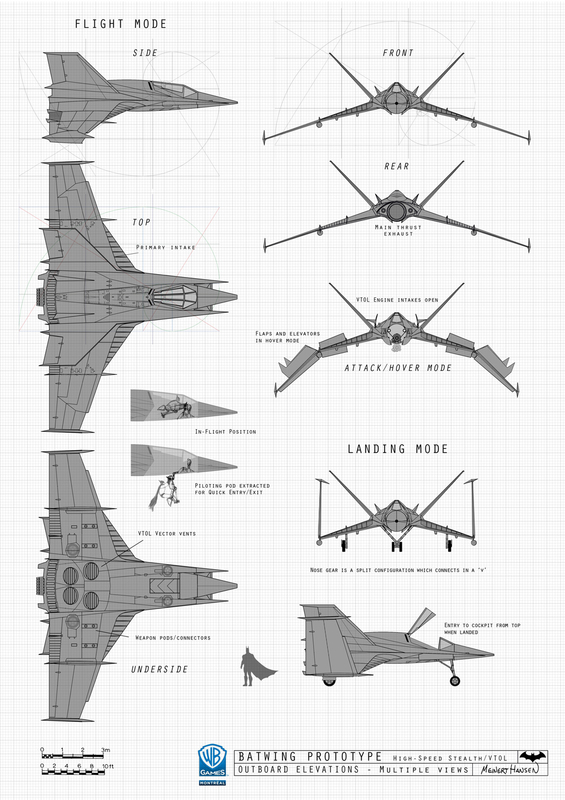 The bottom one is loosely based on an actual American experimental plane, the XFV-12A. 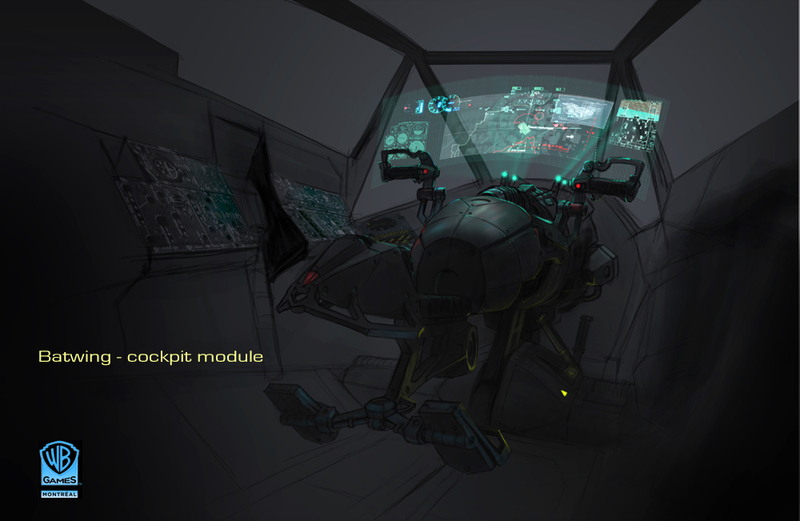 Here are views of the rendered model, with the right VTOL engine intake open. 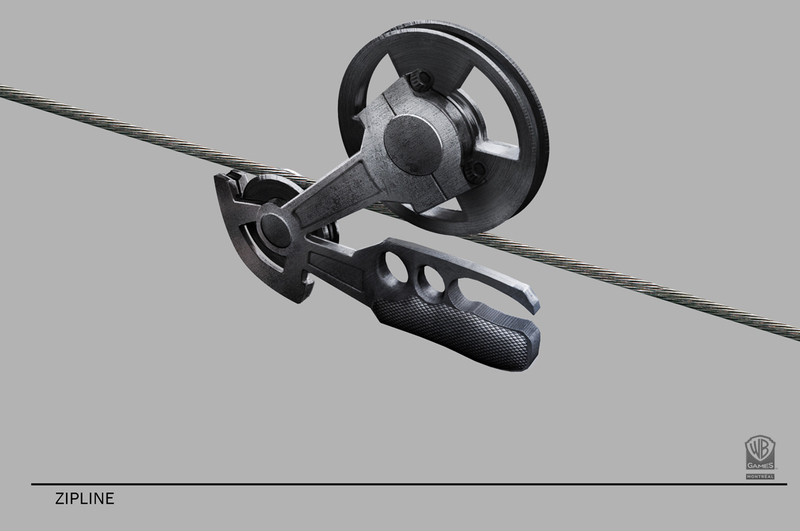 Hats off to the modelling team for doing a stellar job on this. 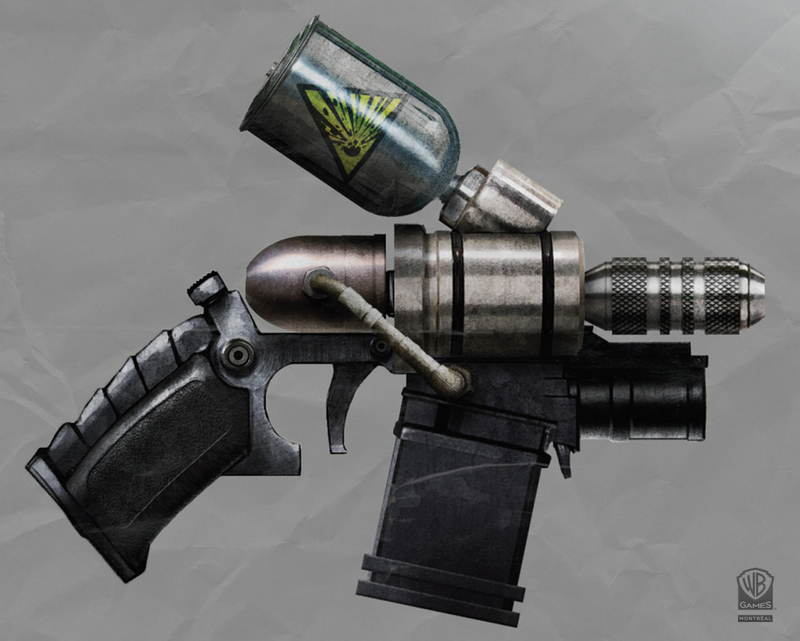 One of the many fun aspects of Batman is the arsenal of gadgets and props. 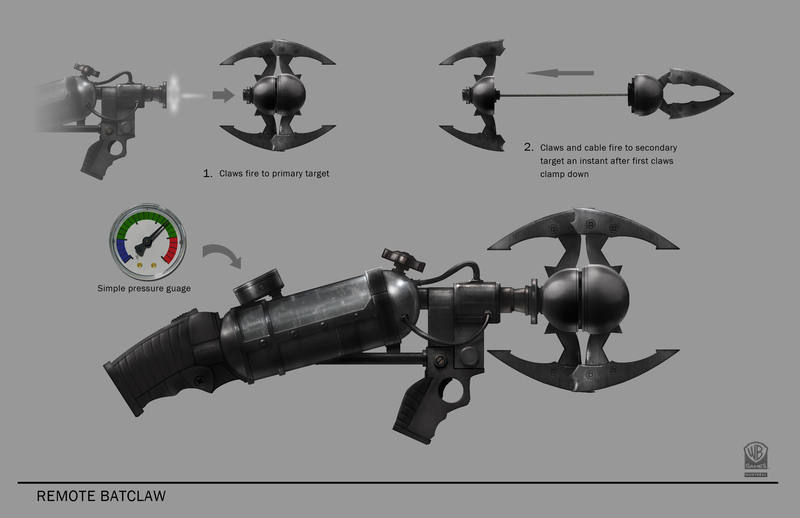 I got the chance to work on a few fun things. 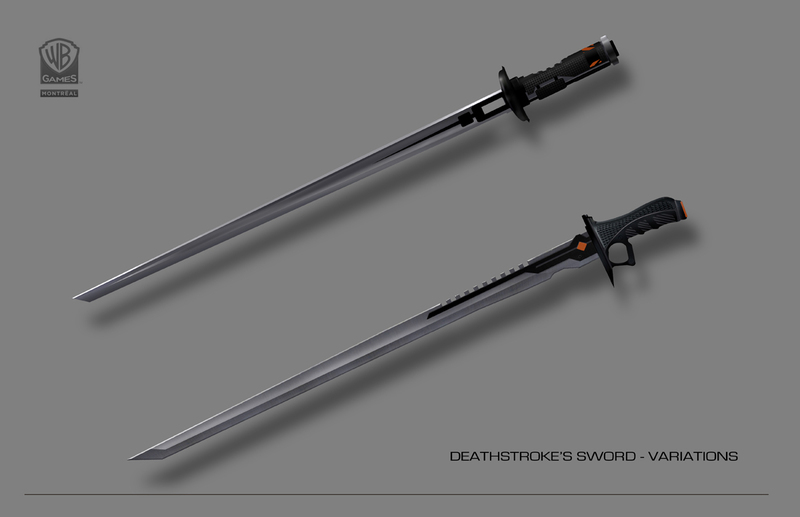 Here are some concepts for Deathstroke’s swords. 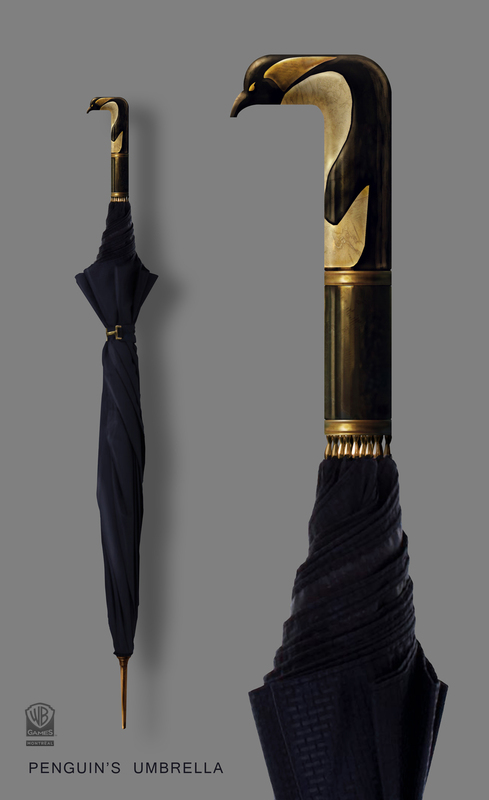 Finding the right balance of elegance, function and high-tech was the challenge. 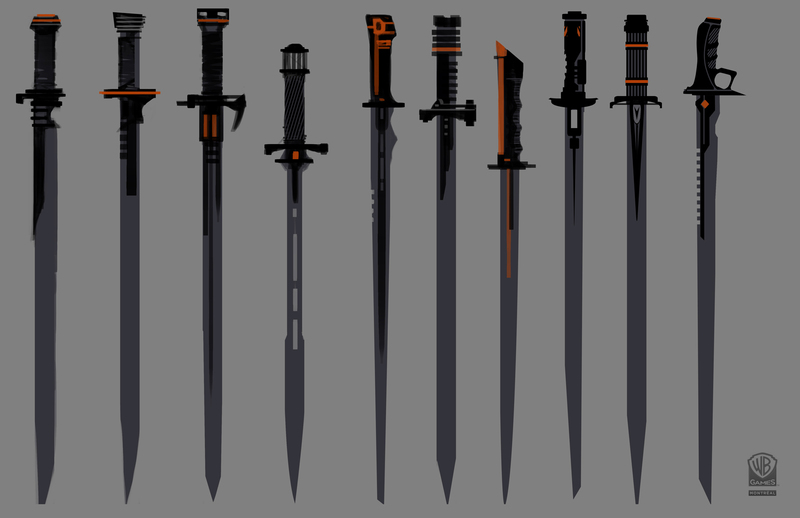 More concepts from the game. 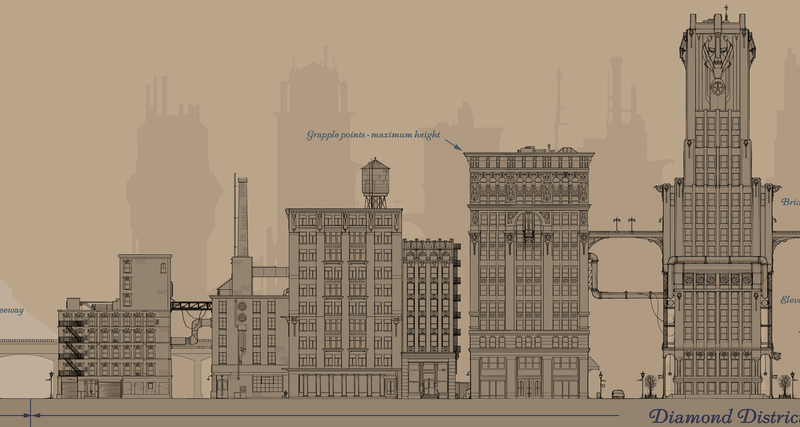 I worked on a lot of the designs for the architecture of New Gotham. 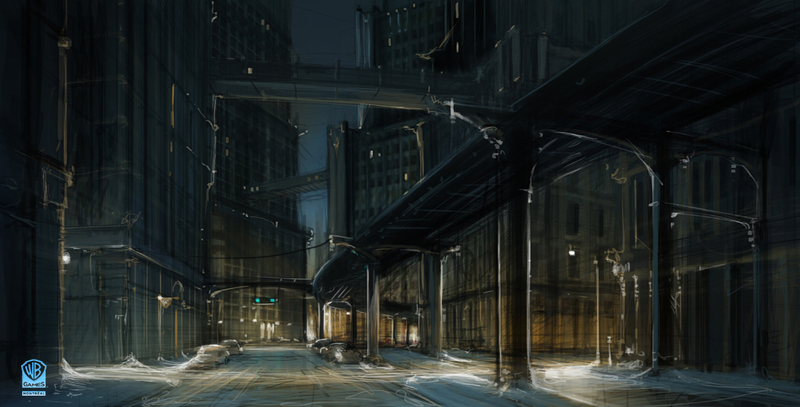 I based a most of it on Soho in New York, and Chicago’s iconic buildings. 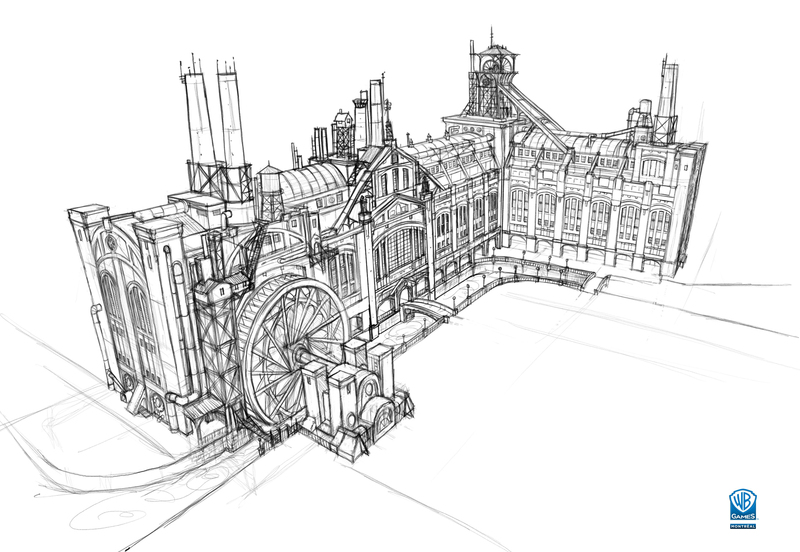 This is just a small sample of environment sketches and designs. I had fun drawing this one – a cross section of hero buildings, designed to be modular so parts could be mixed and matched like a lego set. Took me 4 days to draw in Photoshop, and the original is 18,000 pixels across. 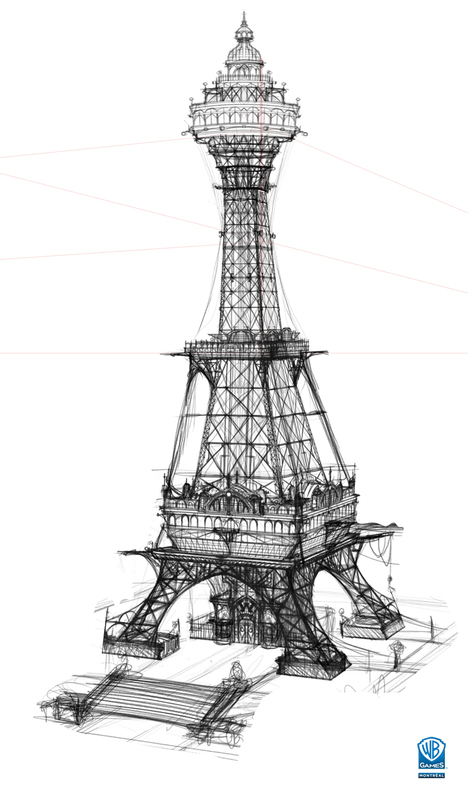 Here’s a closer view of a section of that drawing. 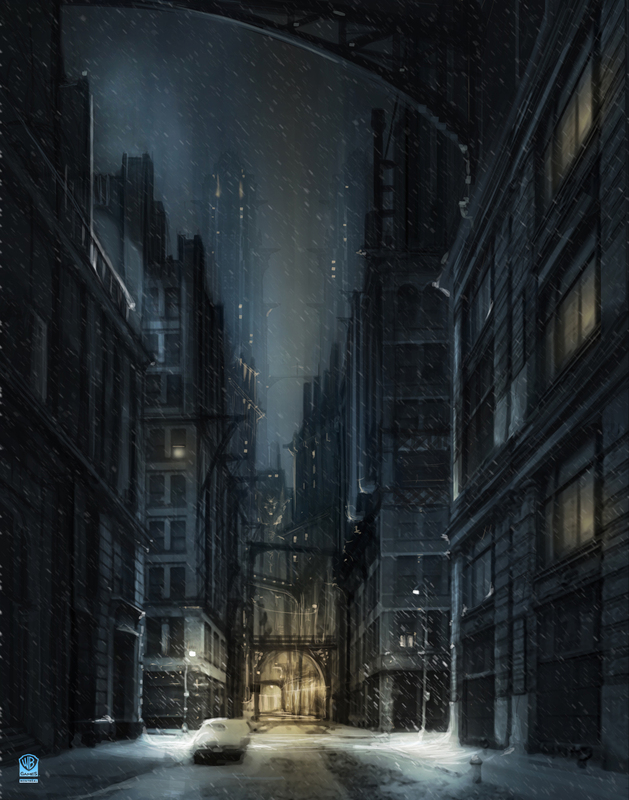 A view from Old Gotham, without the bridge. 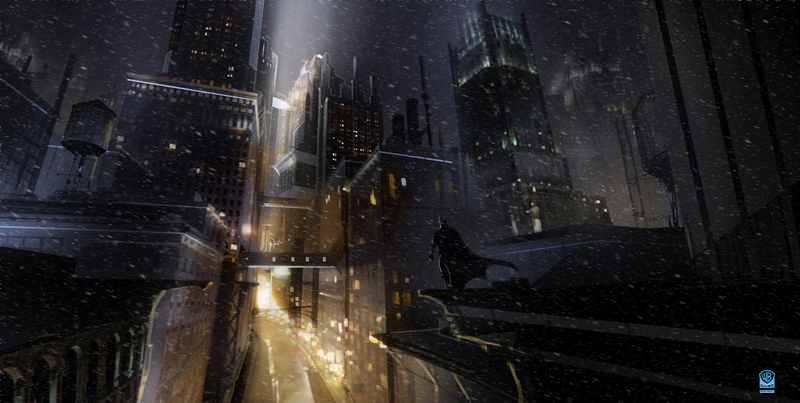 Now that Batman: Arkham Origins is released, I’m pleased to be able to show some of the things I worked on. 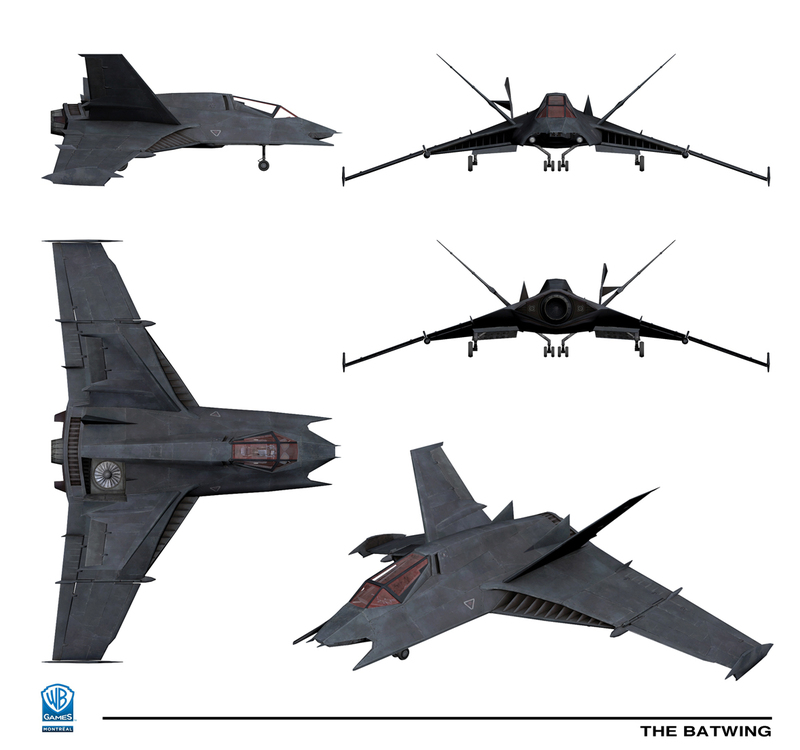 Here are a few images of Batman’s prototype for the Batwing. 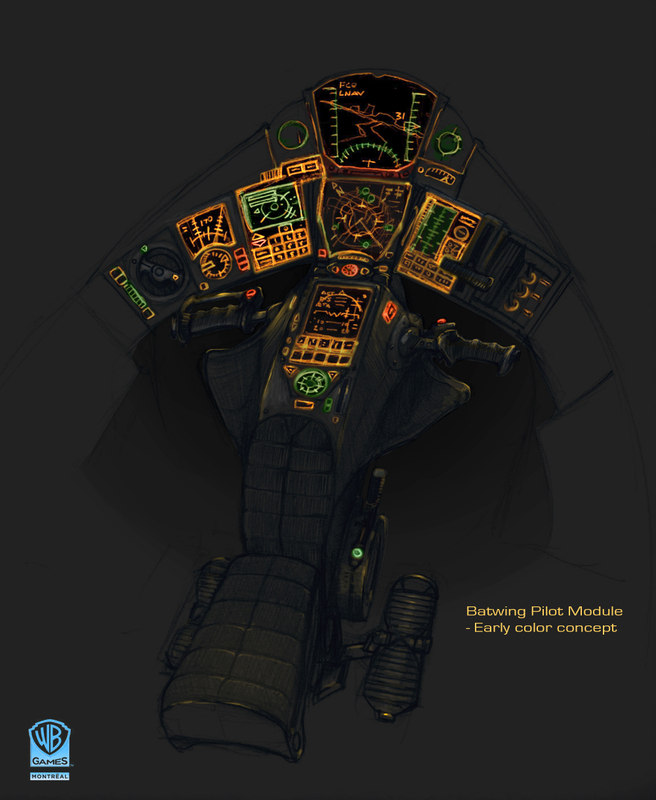 There were many variations, and I loved designing it since it gave me a chance to get back into aircraft drawing. 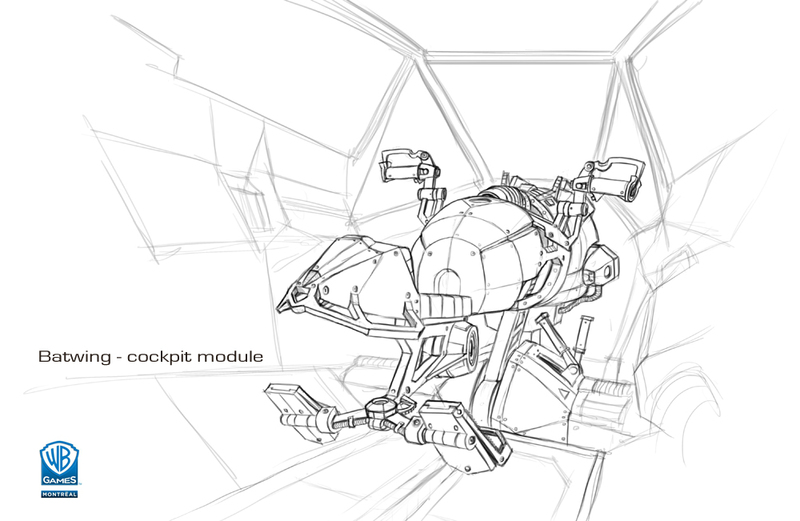 The blueprints below were drawn in Photoshop using the line and pen tools, which made for an efficient and clean look. 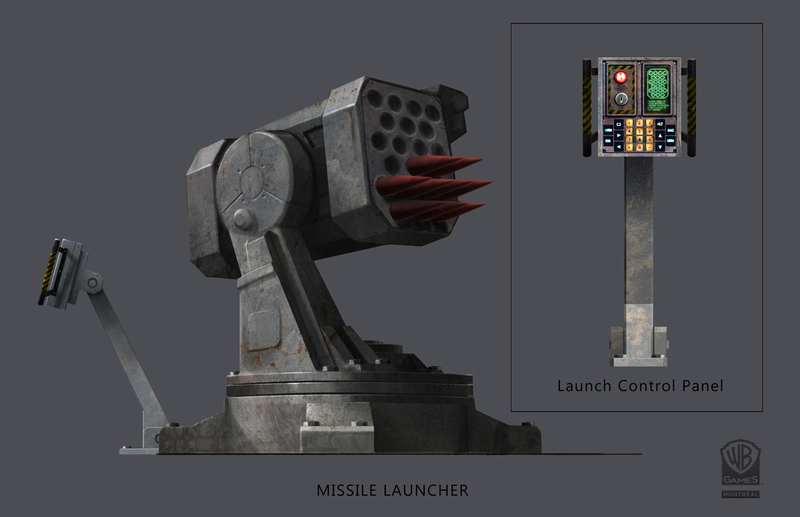 I’ll be posting more artwork in the next coming days – environments and props. 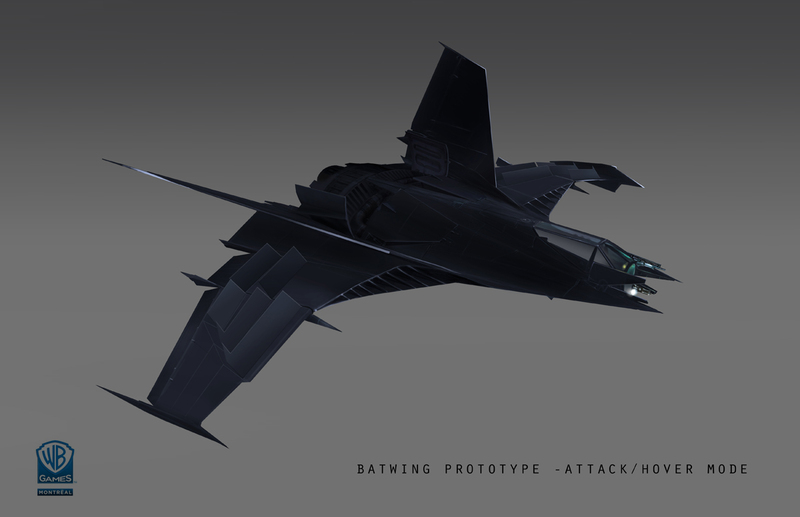 The final design had a meaner, blunter nose. My colleague Virgil Loth modified this later and made it much cooler. 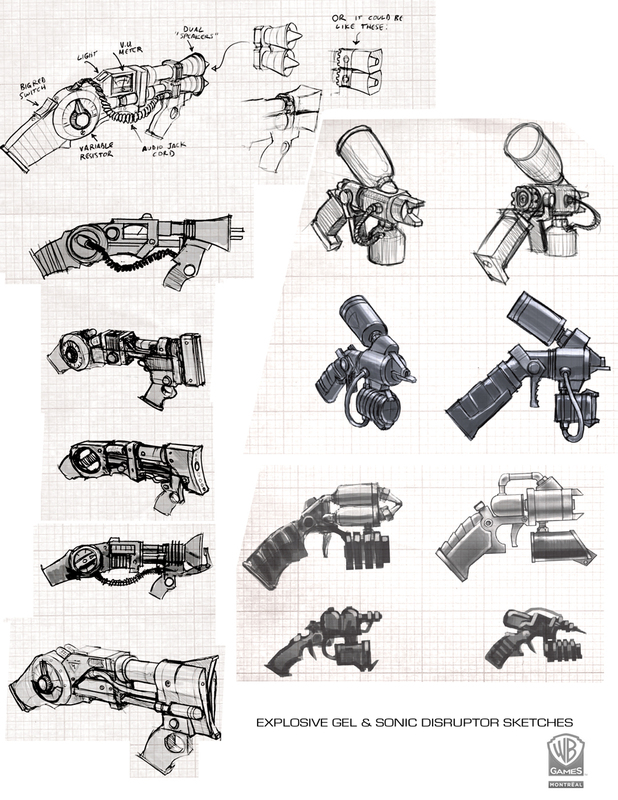 You can see his designs in the art book that comes with the collector’s edition of the game. Frame grab from a cinematic.